We all know the importance of “preventive medicine” – those dreaded annual checkups and biannual dentist visits – but many of us don’t take any action until there’s a problem. It’s a gamble: Sometimes we win, saving time and money while escaping negative consequences. Other times, though, what would have been a small problem takes advantage of that time to develop into a big problem, costing much more in both time and money than if it had been nipped in the proverbial bud. In other words, when those gambles fail, they fail big. Unfortunately, far too many building owners and facility managers take the same approach to getting a roof inspection. Why is that a bad idea? Read on to find out. Most of the time – major storms being the primary exception – roofing problems don’t happen overnight. They start with something seemingly innocuous, like leaning pipe supports, and progress to a puncture and leak. An inspection by someone who’s familiar with the early warning signs can correct things before they go too far. By the time you see a leak, for example, you could already have structural damage to the roof, damage to equipment and inventory, or mold. In addition, it can take more time and effort to correct a problem once it’s progressed. A leak on a flat roof, for example, can travel laterally, disguising the location of the actual breach. Most roofing warranties require an annual or biannual roof inspection. If you can’t prove that you had these done by a qualified roofing professional, you may void your warranty. So check the fine print! Not only does a regular roof inspection help you catch problems while they’re still small, they also give you the chance to stop doing things that are inadvertently harming your roof. For example, if an inspector discovers excess wear on your rooftop, you can take preventive action by installing walkways in high-traffic areas and limiting access to other areas. Establishing a sign-in and sign-out procedure can motivate employees to take extra care when they’re doing work on the roof. Or, if constant rooftop visits to repair an aging HVAC system are taking their toll, you have the chance to decide that a replacing your rooftop equipment would be more cost-effective than the inevitable roof repairs. And there’s always the chance that you’ll discover that a bad pipe supports design is causing problems, giving you time to make the necessary structural changes. As if replacing a roof wasn’t already expensive enough, related costs can add up fast. Damaged inventory can result in delays, lost sales, and unhappy customers. The same is true for damaged equipment. And damage to internal structures and flooring can result in downtime, which, depending on the extent of the damage, could be long enough to endanger the entire enterprise. Few businesses operate at such a high-profit margin that they can absorb a shutdown painlessly. If you’re not convinced yet, think of it this way: Catching just one problem while it’s still small could more than make up for the time and expense of scheduling a regular inspection. 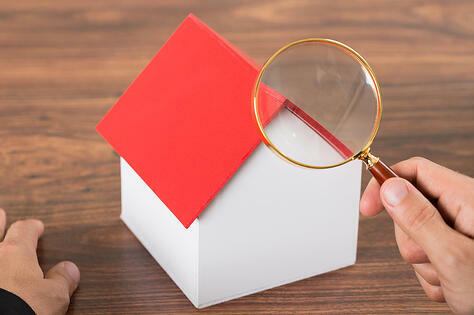 How often should you conduct routine inspections? At a minimum, have your roof inspected twice a year (typically in the fall and spring) and after any major weather events: hail, ice, and wind. However, it’s really important to read the fine print in your warranty so that you comply with all requirements. You may not think that missing one inspection could void your warranty, but it can. So make sure you understand your obligations under your warranty and that you follow them to the letter. And it’s not just your roof warranty you should worry about, also look into all equipment and pipe supports on your rooftop as they can have different rules. In addition, some insurance companies have similar requirements, so make sure you’re in compliance there, too, or all of those premiums you’ve paid might be wasted.